Countries to participate in the five-day event are Nigeria, Seychelles, Niger, Ghana, Mali, France, South Korea and India. 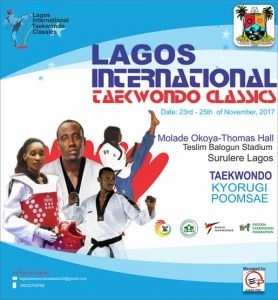 Nigeria and seven other countries are billed to participate in the 4th edition of the Lagos International Taekwondo Classics. The event takes off on Thursday 23rd November 2017 at the Molade Okoya-Thomas Indoor Hall of Teslim Balogun Stadium, Surulere Lagos. The Lagos State Government sponsored classics is being organised as part of Governor Akinwunmi Ambode’s effort to expose Lagos State Athletes to International Competitions. 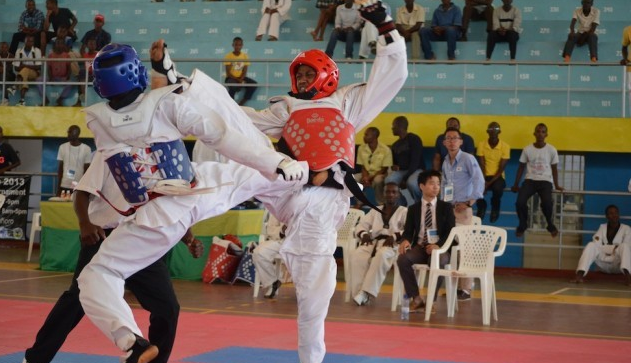 The event is also meant for creating a platform for Nigerian Taekwondo Athletes to compete with their counterparts around the world in accordance with international standards thereby forming a Sport Culture for the State. Apart from taekwondo athletes from all over Nigeria, 26 Lagos State athletes will be competing in both male and female categories. As a side attraction during the Championship there will be Kiddies demonstration of the art to thrill the spectators. In a related development, an officiating seminar would be conducted by the visiting International Referee to retrain officiating officials on the World Taekwondo Federation new rules as Taekwondo evolves from time to time. The Classics ends on Saturday with a closing ceremony at the Teslim Balogun Stadium.